Virtually every crucial economic and social function depends on the secure, reliable operation of power and energy infrastructures. Energy, electric power, telecommunications, transportation and financial infrastructures have become increasingly interdependent, posing new challenges for their resilient and efficient operation. All of these interdependent infrastructures are complex, geographically dispersed, non-linear, and interacting both among themselves and with their human owners, operators and users. The end-to-end electric power network, grid communications and control systems are often thought to be much more securely protected than is actually the case, especially to malware and intrusions. Over the last two decades, power outages in the United States have increased in size and frequency. This trend is likely to continue as the number of energy consumers increase while infrastructure investment remains stagnant.These circumstances have highlighted the need to update the nation's electric power grid to provide secure and reliable electricity for the future. 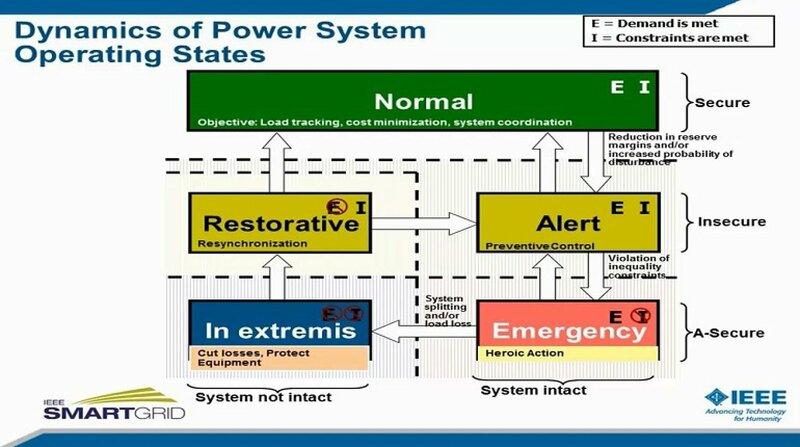 Both the importance and difficulty of protecting power systems have long been recognized. In the electricity sector, outages and power quality disturbances cost the economy more than $80 billion annually on average, and sometimes as much as $188 billion in a single year. Since 1995, the amortization and depreciation rate of old transmission investments has exceeded new construction expenditures. It has been apparent for over a decade that the grid is increasingly stressed, and that the carrying capacity or safety margin to support anticipated demand is in question. The age of our power infrastructure - particularly underground city networks - is a major issue that should not be viewed in isolation. Instead, the power industry's focus should be on a holistic asset management approach to address grid resilience. That focus should weigh the relative risks and benefits of maintenance, repair and replacement or retirement of the infrastructure's various elements. These elements include thousands of transformers, line reactors, series capacitors, and transmission lines. A holistic approach also requires viewing the utility fleet of capital equipment as critical strategic assets impacted by age and external forces, possessing capabilities and characteristics that can be leveraged to improve reliability. In addition, we'll discuss selected material from the IEEE Quadrennial Energy Review (QER) report for the U.S. DOE, which are pertinent to these discussions and potential actions with the various stakeholder groups. The cost of developing and deploying a modernized stronger, more secure and smarter grid for the country is cost effective and should be thought of as an investment in the future - in a secure, reliable, and entrepreneurial future - that will pay back over many decades to come as the energy backbone of our 21st century economy.